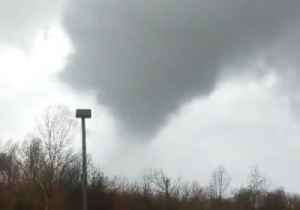 A tornado touched down in Paducah, Kentucky, on Thursday, March 14, reportedly causing damage. 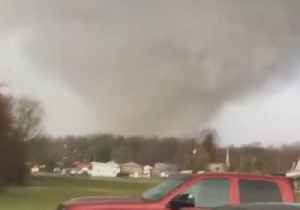 The National Weather Service confirmed the tornado and tweeted at 9.31 am that it had “just missed” their office in west Paducah. 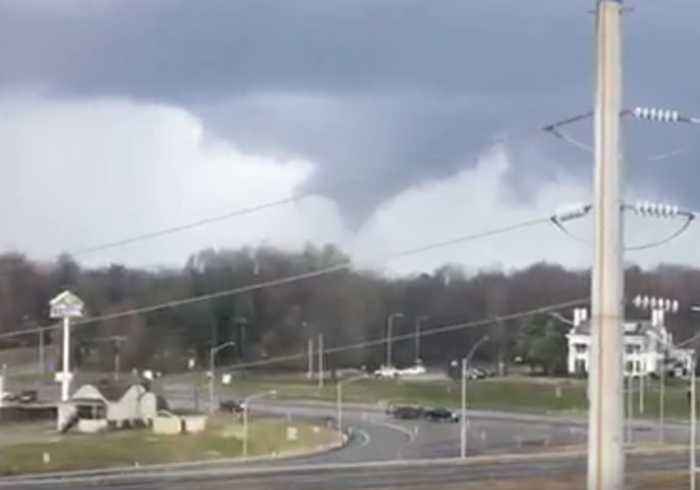 This video was shot from Lourdes Hospital in Paducah, Kentucky, looking west over Interstate 24, and appears to show a funnel cloud dissipating. A state of emergency was declared in southwest Kentucky’s McCracken County on Thursday, March 14, after a tornado touched down west of Paducah, damaging properties, trees and power lines.The US..
A tornado touched down in Paducah, Kentucky, on Thursday, March 14, reportedly causing damage.The National Weather Service confirmed the tornado, tweeting at 9.31 am that it had “just..